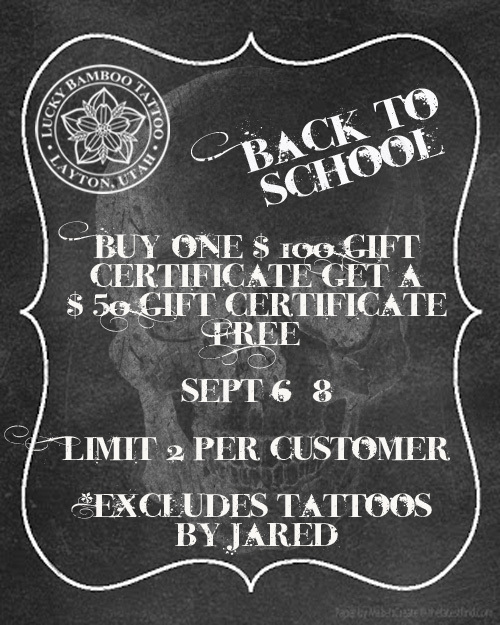 We are having a Back to School gift certificate sale this weekend! Purchase a $100 gift certificate, get a $50 one FREE! Limit 2 per customer. Excludes tattoos by Jared. Sept 6-8 in store or online. Gift certificates expire in one year from date of purchase.